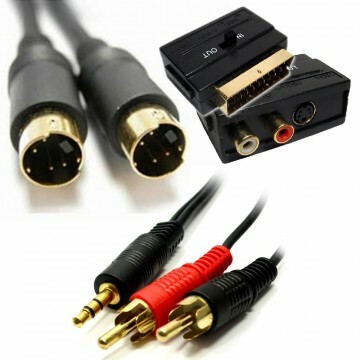 A great little kit which includes a SVHS (S-Video) cable for the picture (plugs into your pc or laptop) a 3.5mm jack (connects to speaker out) to 2 phonos (red and white for audio Connects to scart block on TV) and a SCART converter (phonos and SVHS inputs to SCART). If you have SVHS and audio inputs on your TV then the SCART converter is not needed. 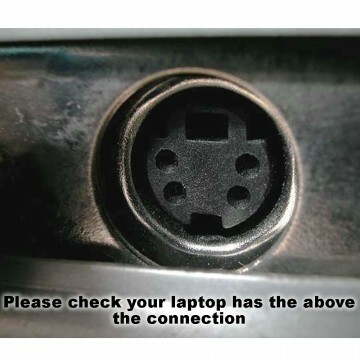 Simply plug them in and change to the required AV channel. If not just plug the cables into the converter and then straight into a free scart socket.